I'm all for substituting ingredients however when it comes to baking desserts, I will cower in a corner if I don't have the exact ingredients. I came across this very dilemma recently thinking I could substitute unsweetened chocolate for cocoa powder. One word DISASTER. Luckily the biscuits I made were for the husband and he just dunked these into his tea and wasn't overly worried about the bland taste of the cookies. However, from failure and subsequent research I now realise that cocoa is low in fat but contains high concentrations of cocoa solids. Whereas unsweetened chocolate, really is a chocolate bar with little or sugar and contains 100% cocoa. If I had known at the time of my ensuring kitchen failure, I would have known that at worst case I COULD substitute chocolate with cocoa powder however, it's knowing what the correct ratio to use. I still haven't mastered the ratio thing, so it's easier to simply go out and buy cocoa powder. I have however, been more successful substituting carob for cocoa powder and I have used this measure for measure. 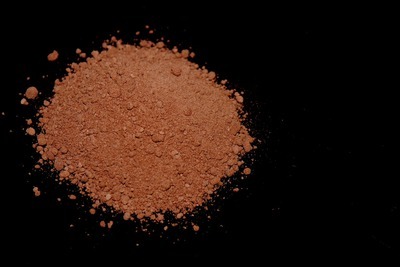 Since cocoa powder does tend to be sweet, the substitution might significantly change the taste. I think can use for some menu. Why do TV shows roll credits that no one can read?